Charity Navigator has compiled a list of highly-rated organizations responding in the aftermath of the hurricane and providing assistance to Puerto Rico and the other communities affected by this storm. Donors can designate their donations to the cause on the organization's website. All listed charities have made their designation policies available on their respective websites. 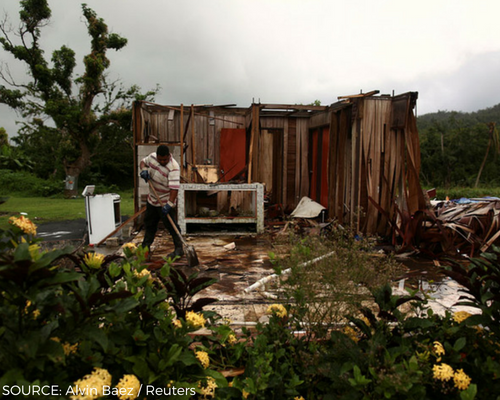 Charities providing relief for Hurricane Maria working in Puerto Rico only. Charities providing Hurricane Maria relief in Puerto Rico & other areas. Charities providing Hurricane Maria relief only in areas outside of Puerto Rico.